The new emax range is powered by fuel efficient state-of-the-art engine, with CNG and Petrol bi-fuel system options. The Tata Indigo and Tata Indica emax have a low carbon footprint of 0.251 g/km and 0.338 g/km, respectively. They are very fuel efficient cars with a mileage of 23.7 km/kg* for Indica emax and 24.6 km/kg* for Indigo emax. "CNG is gaining momentum in the Indian automobile market and we are happy to announce expansion of our CNG portfolio. The introduction of the new variants comes as an essential step that underlines our commitment to be a sustainable automotive player. At Tata Motors, the core philosophy behind the launch of every new vehicle is anticipating what our customers need and blending it with the best-in-class technology and design engineering. Besides offering exciting new features, these cars will be backed by an engaging purchase experience and advanced technology to be an economic, friendly choice for consumers.This helps us arrive at an end product that suits the inherent automotive needs of our customers in a holistic way," said Ankush Arora, Senior Vice-President, Passenger Vehicle Business Unit (Commercial), Tata Motors Ltd..
Tata Motors showcased its emax range at the Horizonext event, held in Pune, in June 2013, with a commitment to launch its CNG range in a phased manner, in FY 14. The Nano emaxwas the first in the range. 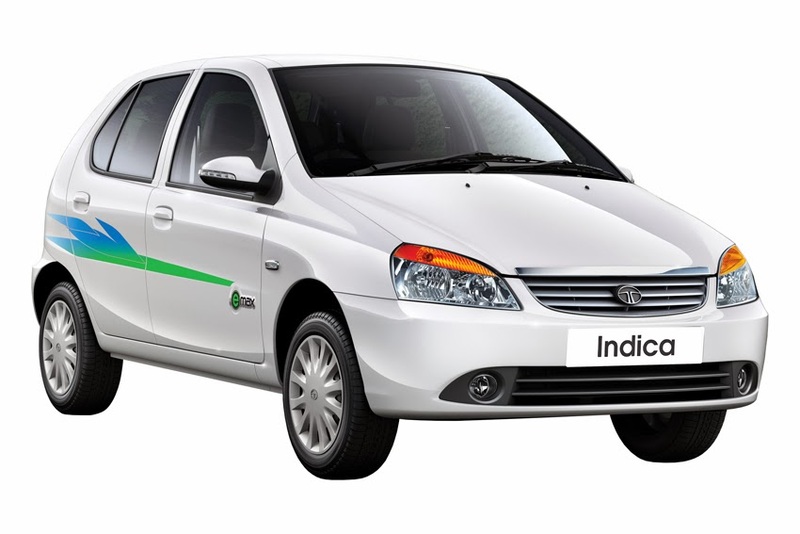 The Tata Indigo emax and the Tata Indica emax have now been introduced in the emax series of CNG cars. It is a fusion of luxury, power and performance apart from being India's most fuel-efficient sedan. The vehicle's powerful Petrol-CNG engine, churns out upto 65 hp @ 5,000 rpm, returning an amazing fuel efficiency figure of 24.6 km/kg & an additional range of upto 230 kilometres* (in CNG) over 650 km* (in petrol). The focus on comfort and performance, is manifested in its drivability in real driving conditions, due to its advanced F-Shift (TA65* Cable Shift) gear box and the new Duo Float Suspension, making the new Tata Indigo emax a pleasure to drive, even in the worst traffic conditions. The new Tata Indigo emax, also has an extremely quiet cabin due to the all new NVH package that reduce sexternal noises. The Tata Indigo emax price range starts at Rs. 4.99 lakh and goes upto Rs. 5.27 lakh, ex-showroom Delhi, for the Indigo GLS and Indigo GLX, respectively. It is another green and fuel efficient vehicle from Tata Motors passenger vehicle stable. Besides being a green vehicle, the new Tata Indica emax delivers better torque, good fuel efficiency of 23.7 km/kg* and an additional range of 230 kilometres* (in CNG) over 600 km* (in petrol). The vehicles spacious interiors set the standards for space and comfort, making it one of India's favourite vehicles in the personal and business segment. Like it's bigger sibling, the new NVH package and the advanced F-Shift (TA65* Cable Shift) gear box makes the new Tata Indica emax, one of the most comfortable hatchbacks in its segment. The Tata Indica emax price range starts at Rs.3.99 lakh and goes upto Rs. 4.26 lakh, ex-showroom Delhi, for the Tata Indica GLS and Tata Indica GLX, respectively.